If you’re from Georgia, you know that a lot of great music coming from the peach state. If you follow hip hop, you probably associate Outkast as being the GOATs in the A. Later on, guys like Ludacris, T.I., Jeezy, Pastor Troy and Killer Mike took reins. After that, guys like Future, Gucci Mane, Waka Flacka Flame and 2 Chainz. The newer generation has the likes of Young Thug, Migos, Future, Lil Yachty, 21 Savage and Cyhi the Prynce. What many people don’t know is that Jermaine Dupri put Atlanta on the map before them. Back in the bass era where guys like Kilo Ali, Raheem the Dream, Freak Nasty and Lil Jon & The Eastside Boyz. The legendary Grammy Award-winning Producer, Hall of Fame Songwriter, recording artist, and TV star Jermaine Dupri, who has been writing and producing platinum hit records for 25 years is celebrating this monumental anniversary by bringing all his artists together on one stage for the first time ever for the The So So Def 25th ANNIVERSARY CULTURAL CURREN$Y TOUR in Atlanta on October 21st. Joining Jermaine on the tour for the first time ever will be the So So Def Family, including Xscape, Da Brat, Jagged Edge, Bow Wow, Anthony Hamilton, Bone Crusher, Youngbloodz, Dem Franchize Boyz, and J-Kwon. Special guests as well will appear. With the passing of Chris Kelly aka Mack Daddy about five years ago, there will be no Kris Kross reunion. Recently, Jermain Dupri sat down with the AJC to discuss the milestone and why Atlanta will be where the only concert will take place for now. Jermaine Dupri has produced, wrote and done songs with some of the biggest names ever in the industry. In addition to his So So Def crew, he worked with Jay-Z, Notorious Big, Mariah Carey, Janet Jackson, Usher and many more. If you’re in Atlanta, make sure you check out the historic concert and let it bring back some great memories. 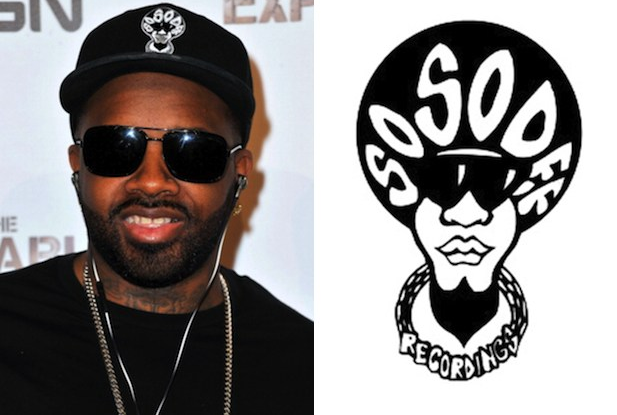 Check out 25 of Jermain Dupri’s best work below and congrats to So So Def for the huge accomplishment.